Michigan drivers deserve to enjoy the time that they spend on the road, and no compact SUV has more to offer than the 2017 Honda CR-V. The CR-V has been growing in popularity for years now, and if the writers at Motortrend are to be believed, its star is still rising steadily. Below, we’ve endeavored to give curious drivers a taste of what this one-of-a-kind vehicle has to offer, and the features we’ve highlighted are certain to pique the interest of drivers who want to get more out of their next new car. The base model CR-V LX is priced at just $24,045 MSRP for 2WD models,* and although its most exciting features are spread out across four trim levels, each of your options is more than affordable for families on a budget. Drivers who enjoy what they find in the interior of the CR-V will certainly appreciate the chance to take one of these SUVs for a test drive! Stop by one of our convenient Mid-Michigan Honda Dealers to get behind the wheel today. Drivers all over the world spend a great deal of time in their vehicles, and when you have access to a wide variety of interior features, that time can become a lot more entertaining! 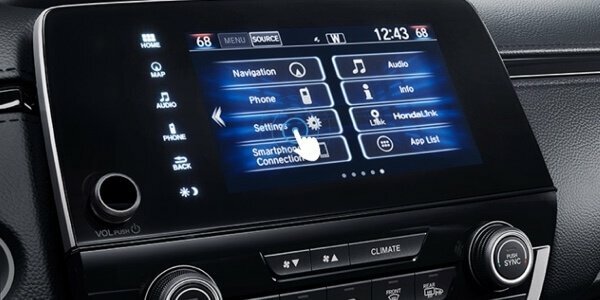 The 2017 Honda CR-V may be relatively inexpensive, but nevertheless, it comes equipped with many of today’s most sought-after audio, connectivity, and entertainment technologies! When you’re behind the wheel of the CR-V, you’ll enjoy full control over a plethora of different technology features that the whole family will enjoy. Drivers who find this variety a little overwhelming certainly aren’t alone—but rest assured: We’ve compiled a list of tips and tricks that will teach you how get the most from your purchase as soon as you drive it off the lot. 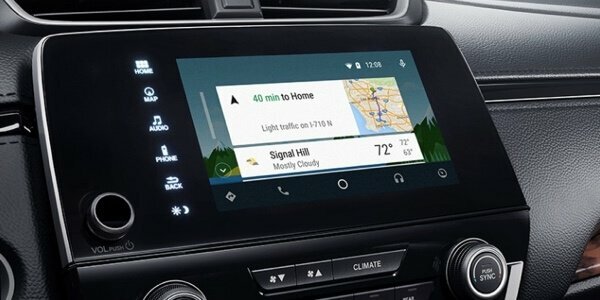 In addition to offering turn-by-turn directions, Honda’s respected satellite-linked navigation system also offers voice-recognition technology and HD Digital Traffic. This technology feature is standard on Touring models, and available as an upgrade in the EX-L. This responsive, high-resolution Display Audio system centralizes all of the controls for the features you use every day, and it’s offered as a standard feature on the EX trim and above. Use its customizable buttons to master your music, temperature, and connectivity controls. 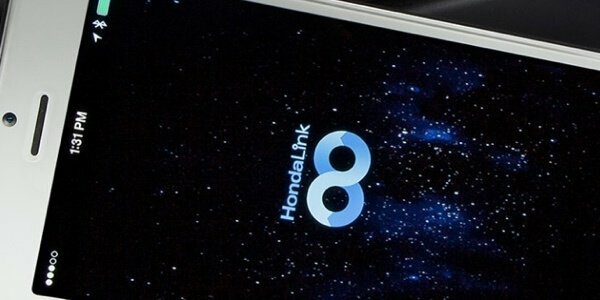 With HondaLink technology, connecting your smartphone to your CR-V is easy as can be. This feature, as well as many other smartphone-compatible technology features, comes standard on the EX and above. Whenever you go for a ride in the 2017 Honda CR-V, you’ll feel invited to spread out, relax, and enjoy the journey. This exceptionally spacious compact SUV has room enough to seat five passengers comfortably, and what’s more, its interior stylings rival those of much more expensive luxury vehicles. What’s more, the CR-V comes equipped with all of the comfort and convenience features you’ll need to focus on what really matters—friends, family, and the feel of the open road! If you’ve been looking for a vehicle that will make commutes and road trips more fun for everyone, then look no further. Few design features add more long-term value to a vehicle than a spacious, open cabin. The 2017 CR-V offers up to 105.9 cubic feet of passenger space in its LX trim level, and 101.6 cubic feet in its Touring model. 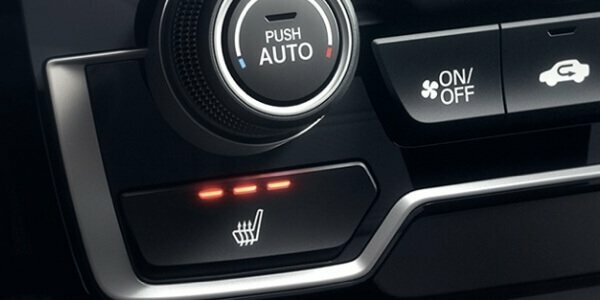 The CR-V’s front seats provide lasting comfort day in and day out, and on the EX trim and above, they also provide under-seat heating that can be activated with the press of a button. The CR-V EX offers a 12-way power-adjustable driver’s seat. 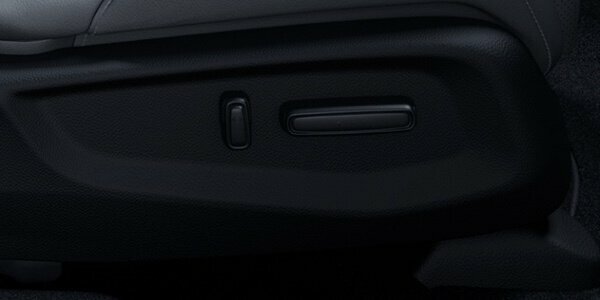 In the EX-L and above, the front passenger seat provides four-way power-adjustable mobility. 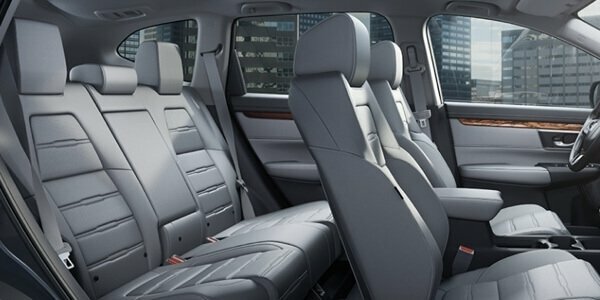 Every CR-V comes standard with an easy-to-use foldable rear seat. 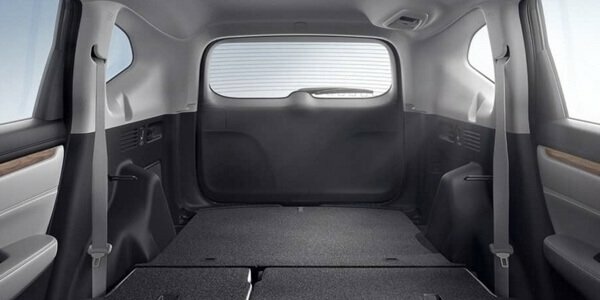 With this feature, you’ll be able to expand your cargo bay from 39.2 cubic feet all the way to 75.8 cubic feet. You and your rear-seated passengers no longer have to bicker about your vehicle’s interior temperature! 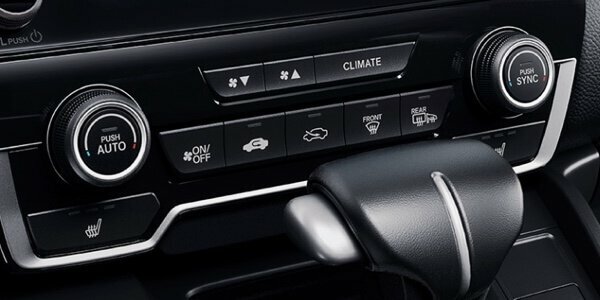 EX, EX-L, and Touring models offer dual-zone automatic climate control standard. A leather-trimmed interior, a leather-wrapped steering wheel, and a leather-wrapped shift knob all come standard on every CR-V model beyond the baseline LX. Take the 2017 Honda CR-V for a Test Drive! 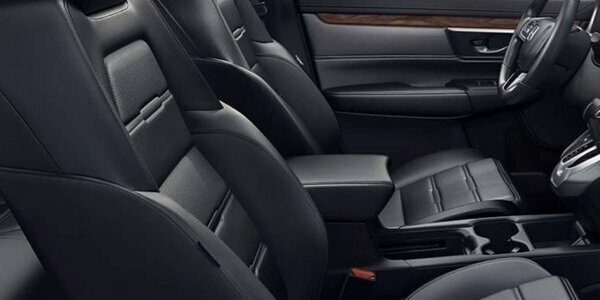 If all of this sounds appealing to you, we can promise that you’ll find even more to love when you get the chance to experience the 2017 Honda CR-V interior in person at a Mid-Michigan Honda Dealer location near you. Thanks to our financing options and current offers, there’s never been a better time to get behind the wheel. Reach out to one of our representatives today, and bring home a compact SUV that you’ll love.